The $11 t-shirt deal of the day over at TeeFury today is an Addams Family-themed shirt called “Wednesday Feast” by Justyna Dorsz. The sale began at Teefury today, Monday, April 8, 2013, at midnight EST, and will continue for 24 hours from then, and once it’s over, it will not be sold on the site for $11 anymore, though it might continue into the next day for $14 (look for the After Hours bar at the top). Back in March we found out that Tim Burton would be part of a new stop-motion movie based on Charles Addams‘ classic work, The Addams Family, which ran in The New Yorker before becoming a TV series and pair of film adaptations. 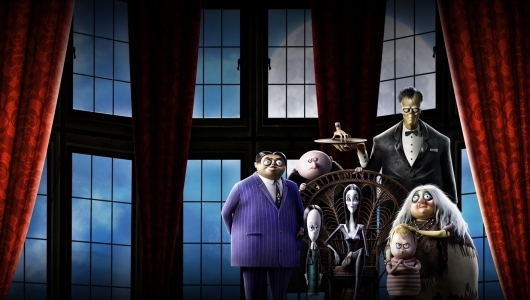 According to Deadline (who first broke the original news), Burton is still attached to produce the movie for Illumination Entertainment and Universal Pictures, and that he’s reaching out to some old friends for help. It’s been revealed that his Ed Wood screenwriters, Scott Alexander and Larry Karaszewski, have been hired to write the Addams Family script. Tim Burton is a constantly busy man; between writing, producing, and directing, he always has something on the table to work on. So what would the visual master take on next? 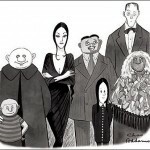 According to recent reports from Deadline Hollywood, it could be a new stop-motion movie based on Charles Addams’ The Addams Family, which originated as regular cartoons in The New Yorker from the ’30s straight on through to the ’80s when Addams passed away. Most of us are only familiar with The Addams Family from the ’60s television series and the Raul Julia, Anjelica Huston, and Christopher Lloyd movie remakes we saw in the ’90s. Burton supposedly wants to ignore all of those and go right to Addams’ cartoons from the New Yorker and make a much more sharp and witty movie. The project will bring Burton back to the world of stop-motion animation, which he was involved in as a writer/producer on The Nightmare Before Christmas, producer on James and the Giant Peach, and as writer/producer/director on Corpse Bride. Deal: Buy 1 Get 1 Free TV on DVD Sale! Who received gift cards for Christmas and just can’t wait to spend ’em? Me too! Which is why I’m getting in on this sale at Amazon to buy one get one free on select TV shows on DVD. Check it out here: Buy One Get One Free . Visit the TV on DVD Sale page to check out the select offerings like seasons of Damages, Seinfeld, The Shield, and The Tick (damn, I gotta get The Tick! ), as well as some real throwbacks like Bewitched, I Dream of Jeannie, and The Partridge Family, and lots more. — DVD Blowout Sale : This includes movies as well as TV shows at a major discount (for example, Curb Your Enthusiasm, 2001 – A Space Odyssey, Caddyshack, 300, and much much more — it’s insane).